Update (7/24): Microsoft has clarified their stance on the apparently secretly-loved-by-the-masses Paint app. Yes, Paint will be eventually removed from the core group of bundled Windows applications, but "MS Paint" as Microsoft is calling it will simply move to the Windows Store as a free download. Furthermore, the newer Paint 3D will continue to be bundled and actively updated. Paint 3D was added with the Windows 10 Creators Update, and it's a modern take of the Paint app, with better support for stylus hardware and 3D capabilities, in addition to standard/basic photo editing tools. 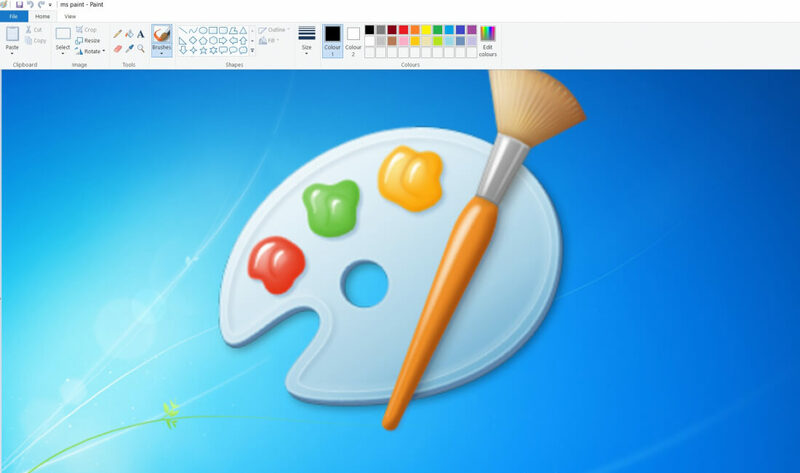 After being around for 32 years and becoming one of the most recognized elements of the Windows operating system, Microsoft is planning to kill off graphics app Paint. The Redmond firm has threatened to depreciate the long-running program in the next Windows 10 update. In a list of “Features that are removed or depreciated in Windows 10 Fall Creators Update,” Paint is one of the items classed as “not in active development and might be removed in future releases." Paint started out as a 1-bit monochrome licensed version of ZSoft’s PC Paintbrush in the first version of Windows 1.0 in 1985. Having been around for over three decades, and with the introduction of Paint 3D in April’s Windows 10 Creators Update, it seems as if the program will soon become nothing more than part of Windows' history. While it was far from best graphics app and pales in comparison to professional programs, it’s still used by millions for a bit of quick and easy editing. System Image Backup (SIB) solution is also being depreciated. Microsoft is pointing users to “full-disk backup solutions from other vendors” as an alternative. Windows features that are definitely being removed include Outlook Express, Reader App and Reader list (both being integrated into Edge), and encryption utility Syskey, which Microsoft says is insecure - it recommends people use BitLocker instead. No official word yet on when Paint might be removed from Windows. We still don’t know the exact date when the Fall Creators Update will arrive, either, though it’s expected to roll out sometime this October.